Every year, an estimated 10,000 motorcycles rumble down the Overseas Highway from Miami to the Key West Poker Run during the third weekend of September in the annual Phil Peterson’s Poker Run. But a little more than three months before this year’s scheduled event, the city of Key West has no agreement with the event organizer. City commissioners delayed considering an agreement Tuesday night, saying they still had questions about who would be responsible for the impact on the city of thousands of motorcycles. 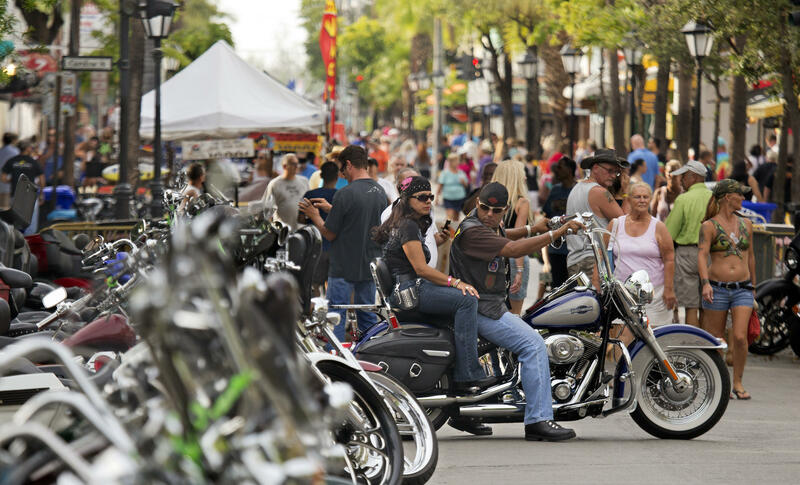 Many of the Key West activities associated with the Poker Run were previously managed by the Sunrise Rotary Club in Key West. But last November the club decided not to participate after finding it was too much work for too little money raised for charity. Peterson told the commission that he could easily cancel the Poker Run itself. Bikers sign up to draw a card at each of five stops from Miami to Key West, and the best hands have a chance at prizes including a new motorcycle. But he said only about 3,000 people sign up for that part of it. “Many of the people that have come year after year the third week of September, those who have hotel reservations, are coming,” he said. Local business owners told the commissioners they rely on the Poker Run for an influx of income at that time. “The month of September is one of the slowest months of the year, and it helps the entire hospitality industry get through this slow time,” said Mark Rossi, a former city commissioner and owner of the Rick’s/Durty Harry’s bar complex on Duval Street. But another downtown bar owner, Jessica Mafera of Rumor Lounge, cautioned against bringing back the event. Violence and involvement by motorcycle gangs was a new problem last year, but commissioners noted that every year Poker Run results in residents complaining about the noise from the motorcycles. WTF Is Going On In Vietnam?